Tuning cars with internal-combustion engines is a bit of a known science. 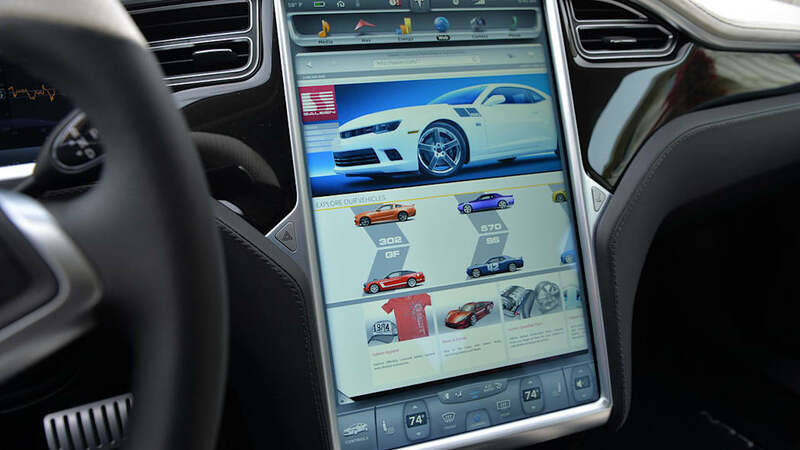 Tuning cars that run on electricity, though, is a newer proposition. 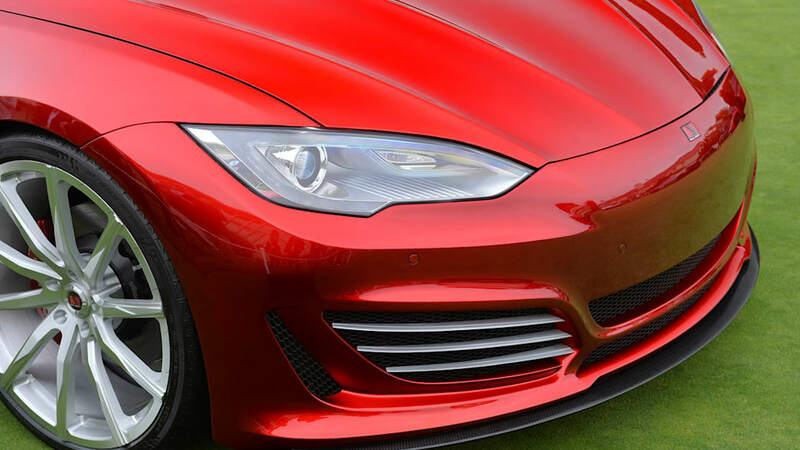 In Saleen's case, that hasn't meant so much a modification of the electric motor on this Tesla Model S, as a thorough reworking of the car's aesthetics. 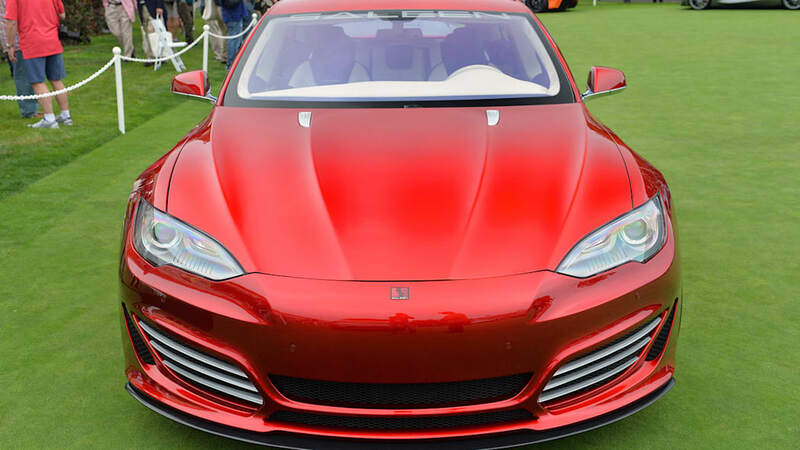 Aside from the monstrously large wheels (which are responsible for a 30-pound reduction in unsprung weight), the Saleen FourSixteen Model S sports a heavily revised front fascia that is perhaps the most questionable styling choice. 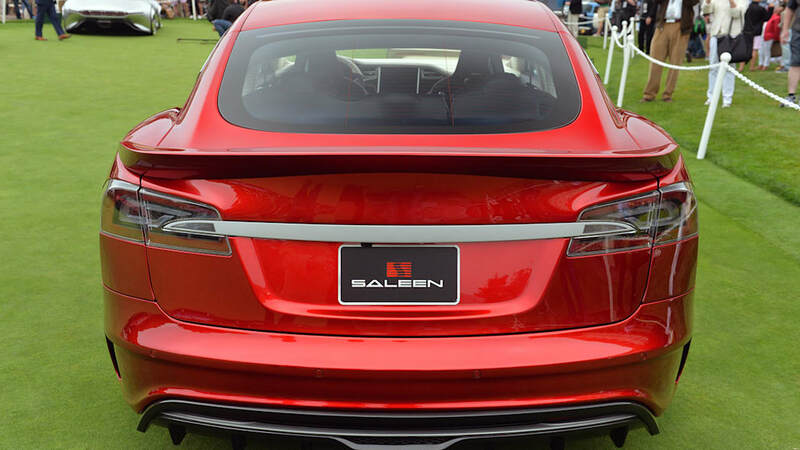 Gone is the Model S' large Tesla badge, and in its place sits an undersized Saleen logo. 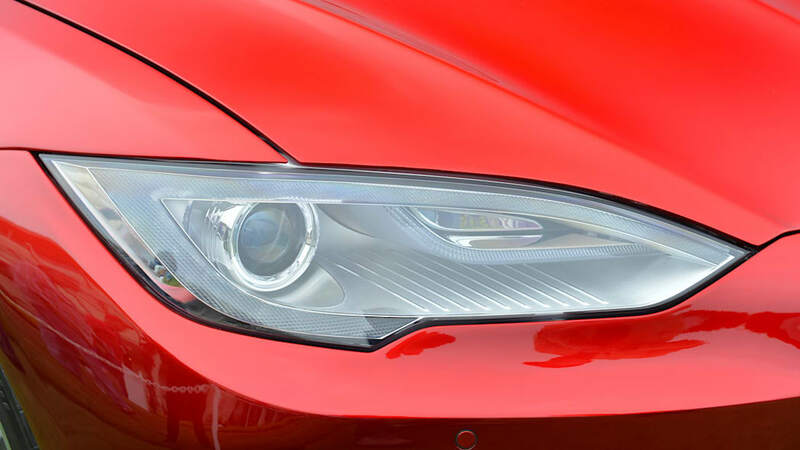 This swap gives the front of the car an almost oversized look, which is further exaggerated by the total lack of anything resembling a grille. 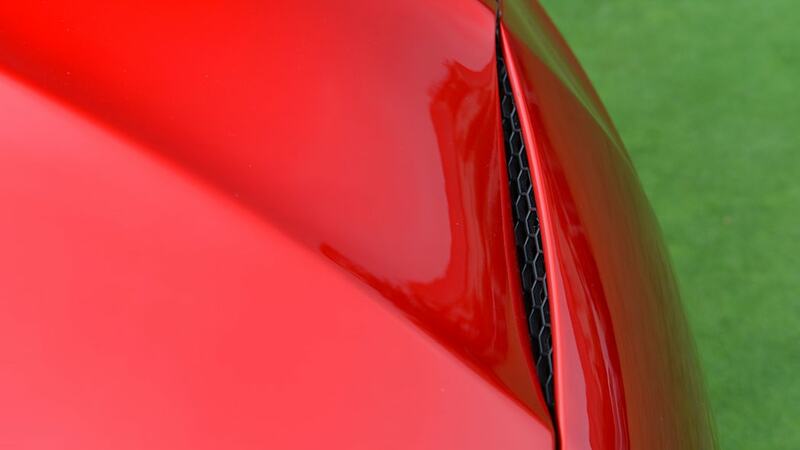 In back, there's a substantial rear spoiler and a large, carbon-fiber diffuser. There are some actual mechanical changes here, as evidenced by the FourSixteen's carbon-ceramic brake package. 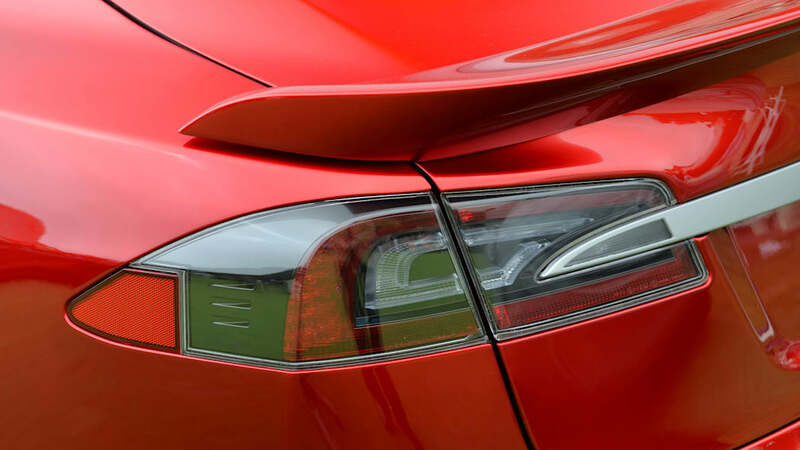 The suspension has also been tweaked, with specific-rate springs and dampers, which should lend some edge to the EV's ride, while a new final drive ratio should deliver snappier acceleration from Tesla's P85 electric drivetrain. 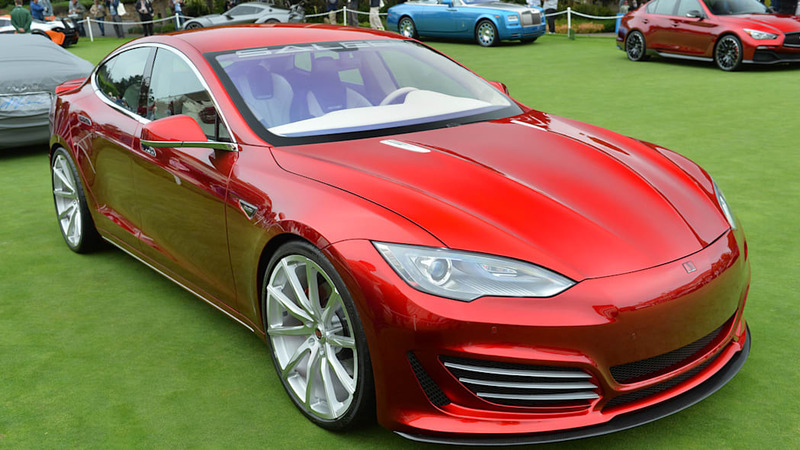 Pricing for this more distinctive Model S, meanwhile, starts at $152,000, which includes the cost of the donor car. Of course, it's unlikely any buyers will actually pay that figure, thanks to the standard government tax rebates available for EVs. 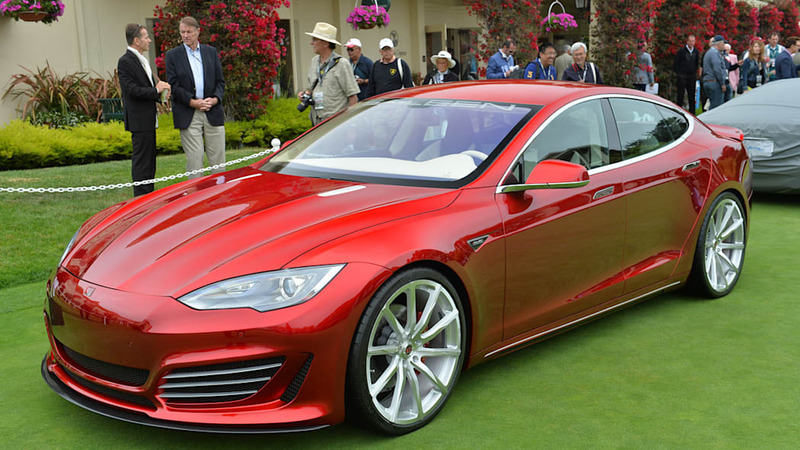 According to Saleen, a California buyer would see prices starting at $142,000. 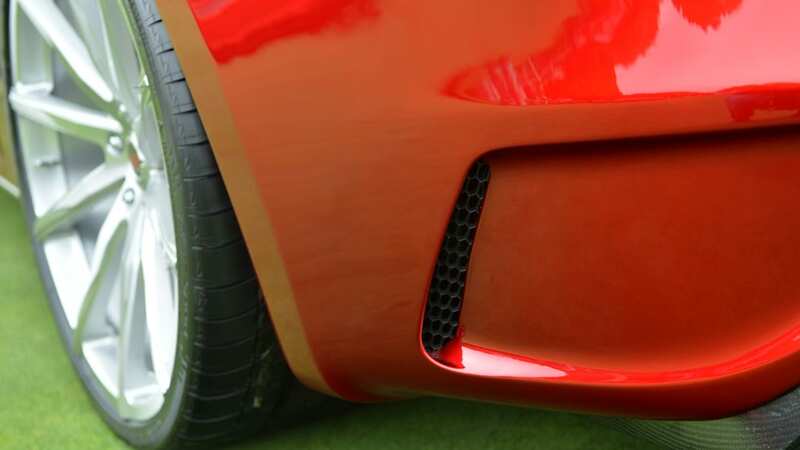 Take a look up top for our gallery of live images from today's concept car display at the Pebble Beach Concours d'Elegance. 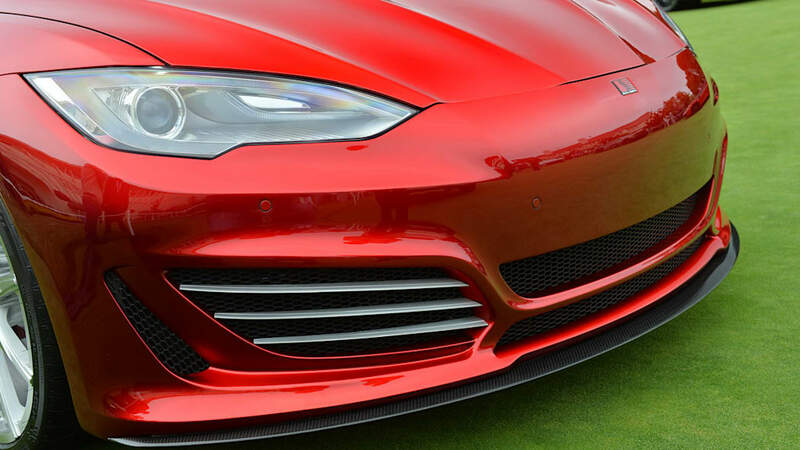 From the same automotive performance brand that brought the true American Supercar, the S7, Saleen has once again set precedence for a vehicle of epic proportions. 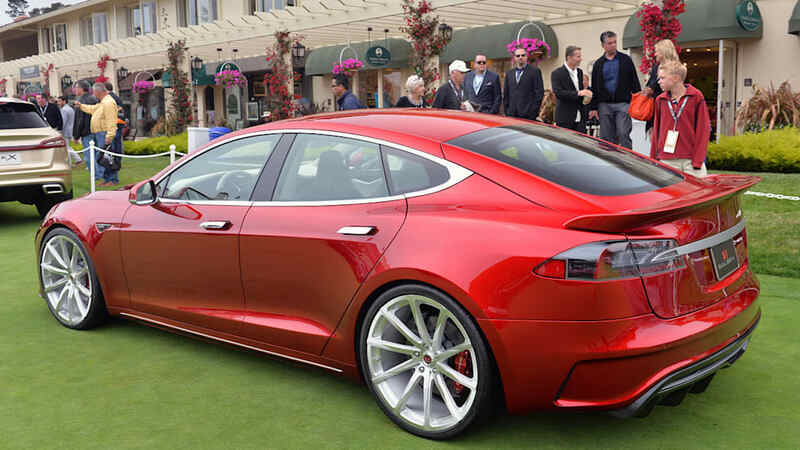 The Tesla Model S based Saleen FOURSIXTEEN performance electric car was shown for the first time at the 2014 Pebble Beach Concours d'Elegance. 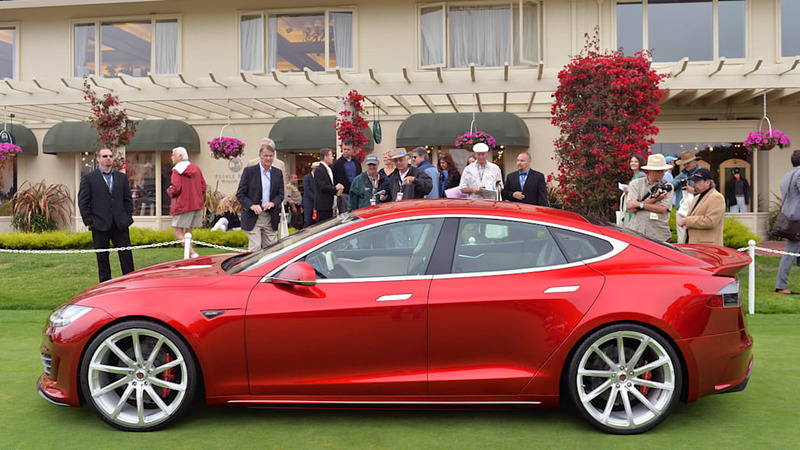 "Tesla has created an entirely new class of American automobile", explained Steve Saleen. "There are many similarities to this and how Ford created the 'pony car' class in 1964 with the Mustang, which is how these vehicles stand out from the rest of the pack." 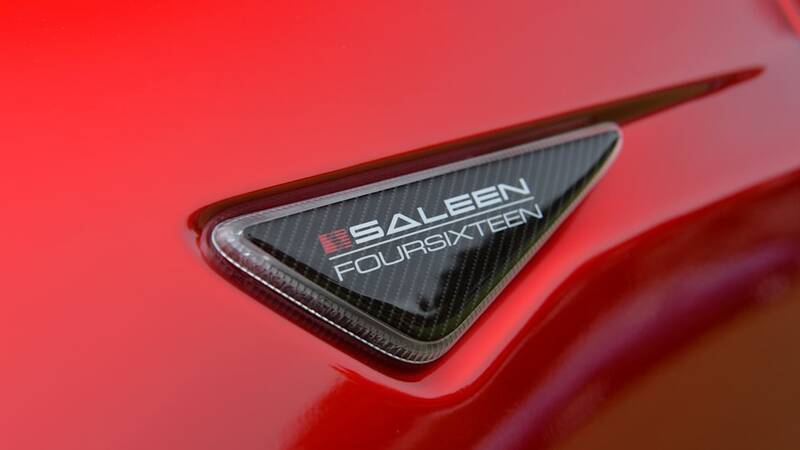 Standing out from the pack is Saleen's specialty. 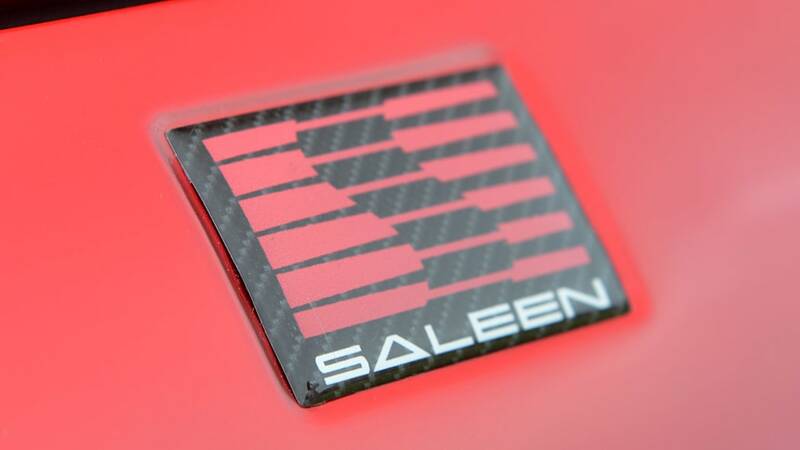 Whether it's their winning racing pedigree, expertly engineered Saleen vehicles, or instantly recognizable design. 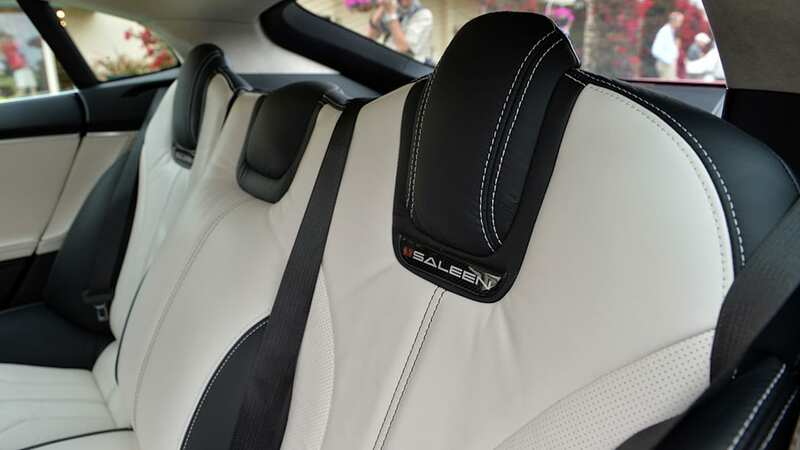 The Saleen legacy is perfectly packaged into the FOURSIXTEEN Model S and hinges on the mantra for the performance luxury electric car that 'status quo won't do'. "Electric drivetrains are unique in that they can generate an incredible amount of torque at zero RPM", detailed Sven Etzelsberger, VP Advanced Engineering. "Our challenge was really to find methods to manage the energy that is generated by the electric motor and rotor assembly. With the FOURSIXTEEN we have successfully found a comprehensive solution to increase performance and harness power in an efficient manner." 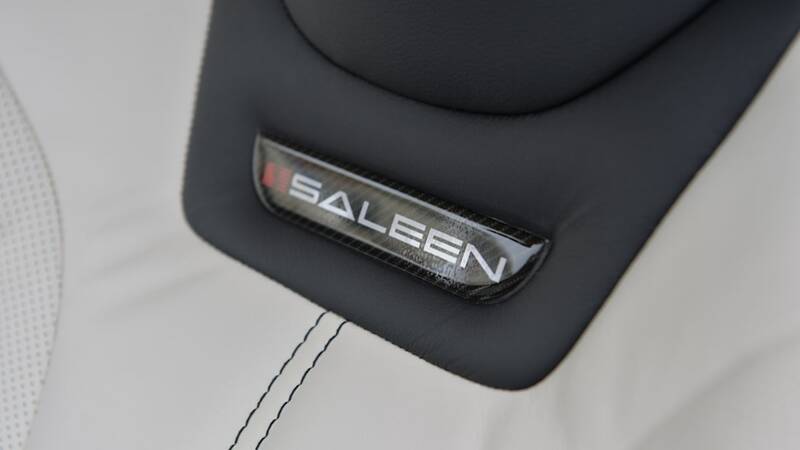 Saleen's design and engineering teams worked together to ensure a functional suspension that doesn't sacrifice ride quality. The Saleen specific S4 track-calibrated suspension includes a monotube coilover, which works in conjunction with an S4 sway bar setup to increase cornering agility without sacrificing ride quality. The FOURSIXTEEN suspension system can also be ordered in a fully adjustable configuration, allowing the driver to easily increase stiffness for a day at the track and revert to a more streetable setting with simple adjustments. 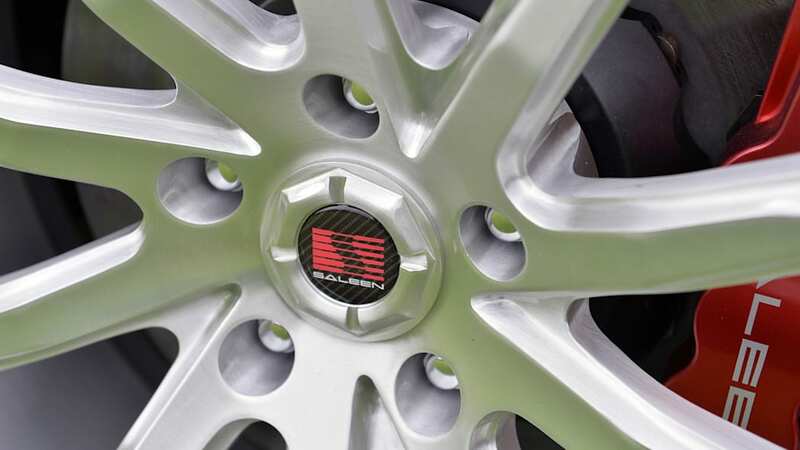 Working together with the stability control software, wheel, tire, and S4 suspension system are the Saleen-specific brakes. 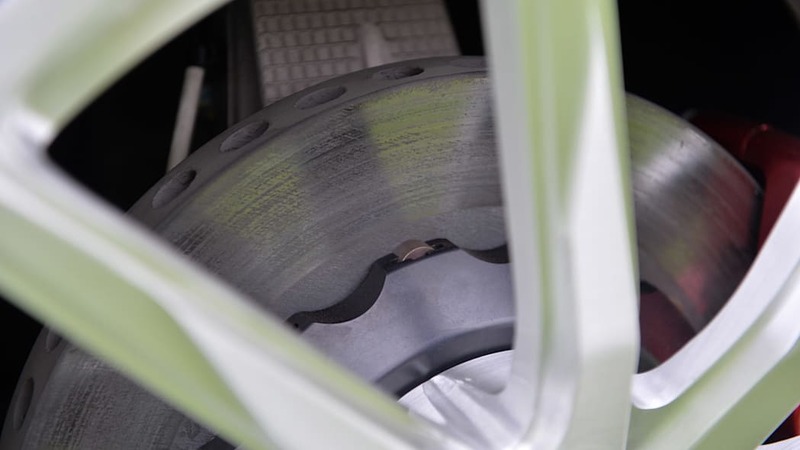 The standard brake package in the FOURSIXTEEN include 14" 2-piece aluminum hat vented rotors and multi-piston front calipers with performance brake pads. 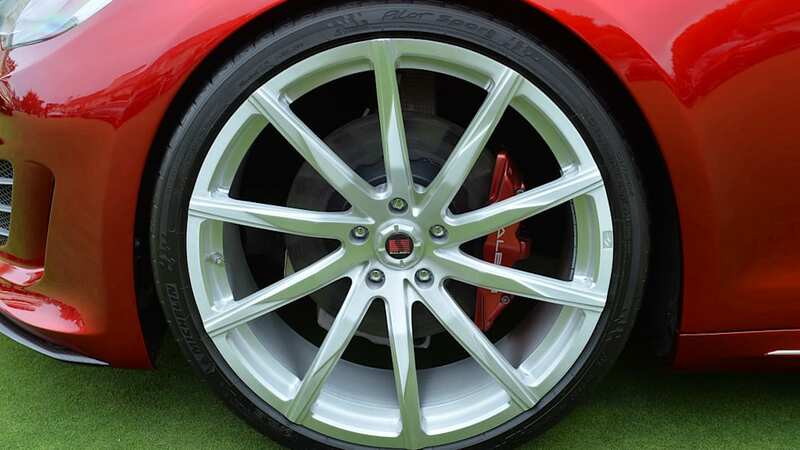 An optional upgrade is the carbon ceramic disc brake system for maximum braking, cooling, and weight reduction. 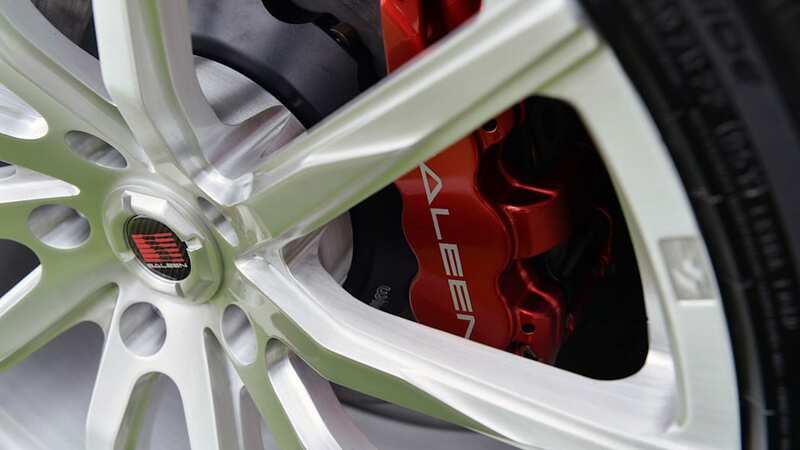 Saleen designed wheels fill out the wheel openings and add an air of performance luxury. 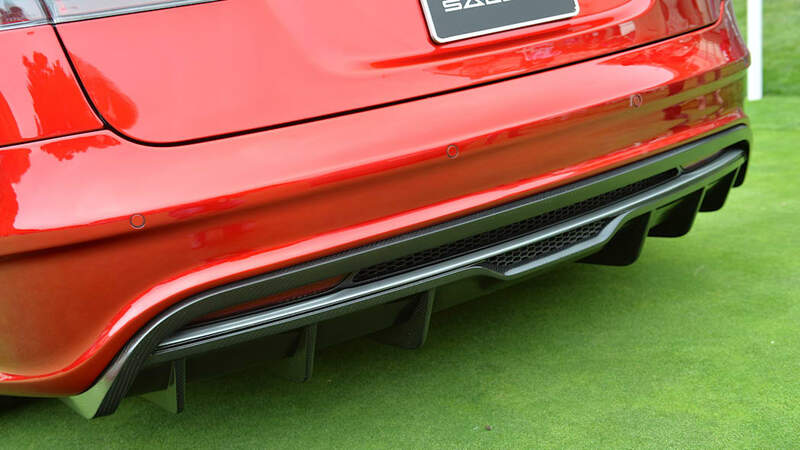 All of this combined with the ZR-spec tires make sure the car will hug the corners, accelerate true in the straights, and stop effortlessly when needed. 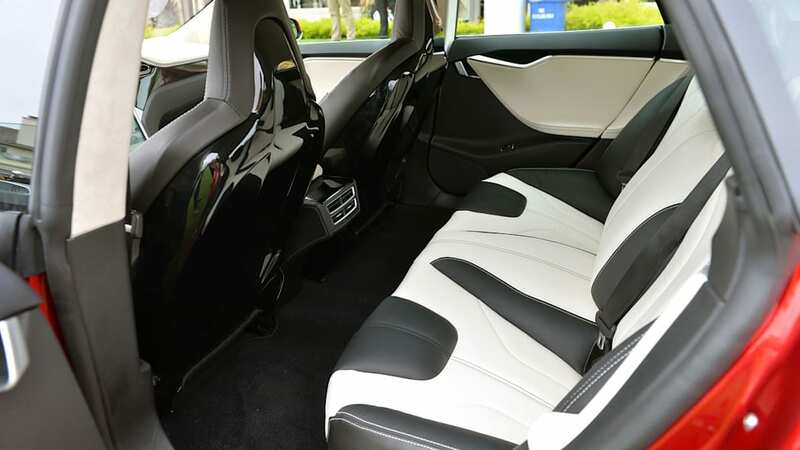 "Our theme of an electric four-seat supercar really comes to life with the interior of this car", said Sean Smith, Design Director. 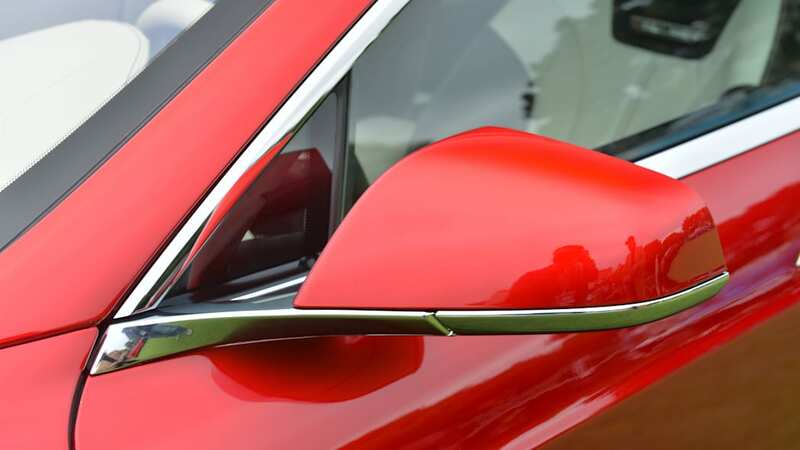 "Our design team spent a lot of time evaluating different materials, fitments, and finishes to accomplish the refined interior design of the FOURSIXTEEN while still keeping the modern sports car inspiration intact. 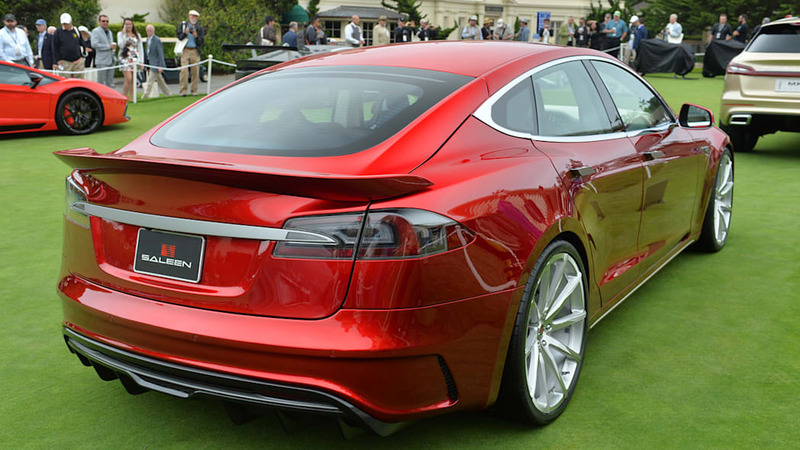 I think the result is appropriate for this new class of electric American performance cars." 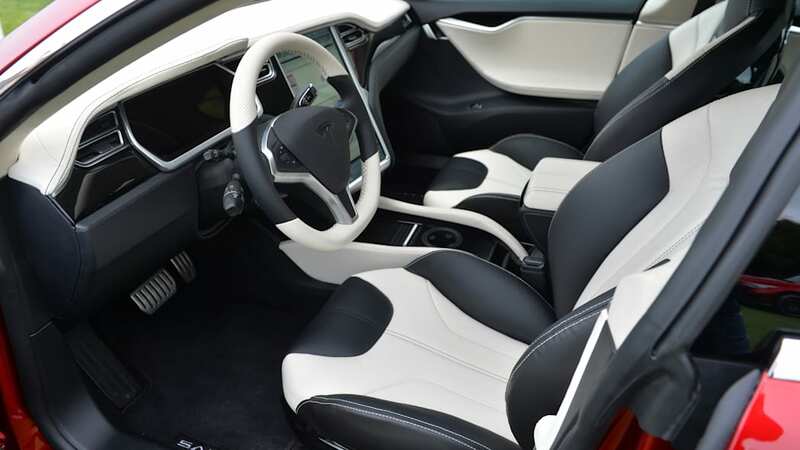 A new center console has also been integrated into the interior redesign. 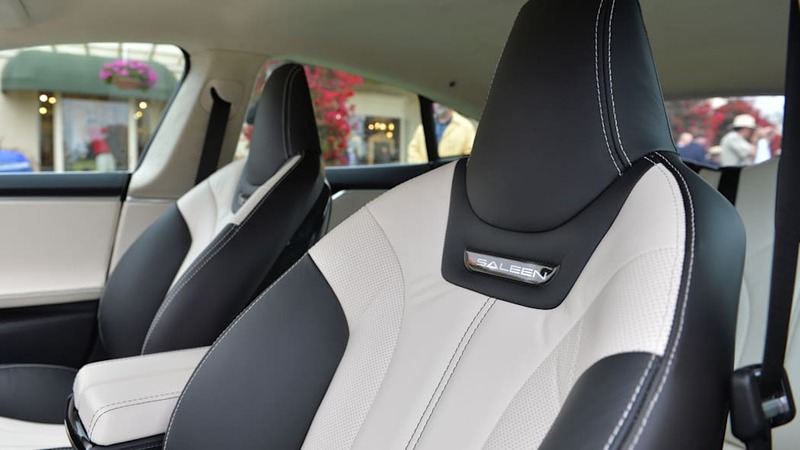 This functional aspect gives the driver and front passenger additional center storage, a personal electronic device pocket, and a much needed cupholder all within arm's reach.